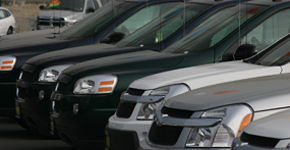 For many consumers a car – new or used – is the single most expensive purchase they ever make. The choices you make related to your car can make a major difference in your wallet. Should you buy or lease? New or used? And what's the best way to get it repaired? The answers are different for every consumer, but the information on this site can help steer you in the right direction. Whether you are buying, leasing, selling, or repairing, it's always better to be an informed consumer! Please look to the links in the right navigation bar for more topics on cars.